It’s graduation season, and that means lots of celebrations, photo-ops, and gatherings are on the horizon. But what do you wear to each event? 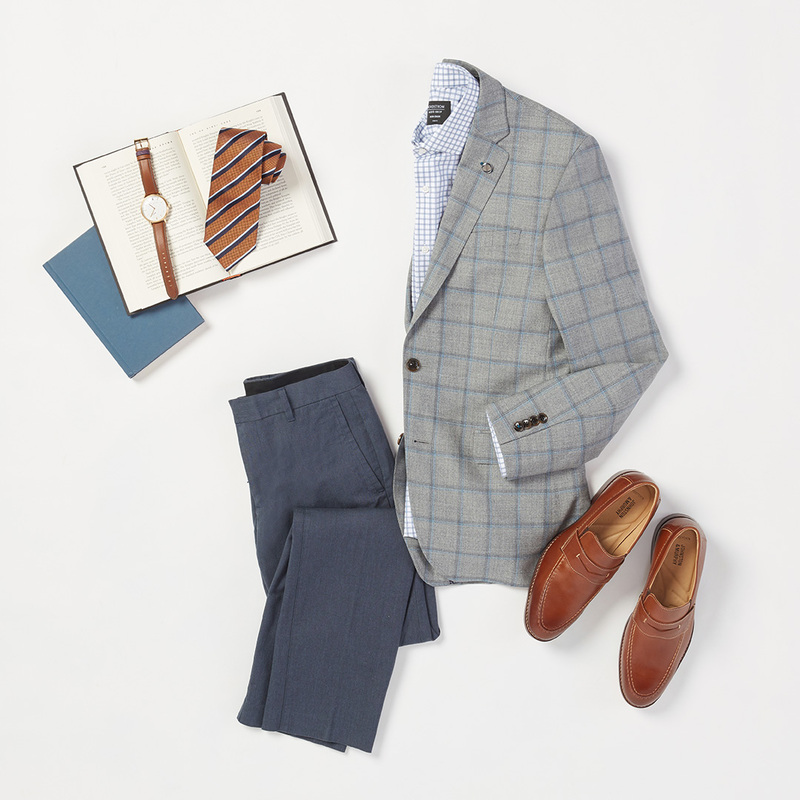 We’ll show you how to dress for casual, semi-formal, and more formal graduation events. This look is for back deck chilling with a drink in your hand and a graduation card in your pocket. It’s pretty much your typical summer outfit taken up a notch. A short-sleeve button-down looks casual on its own, but a jersey blazer on top makes it right for a special event. 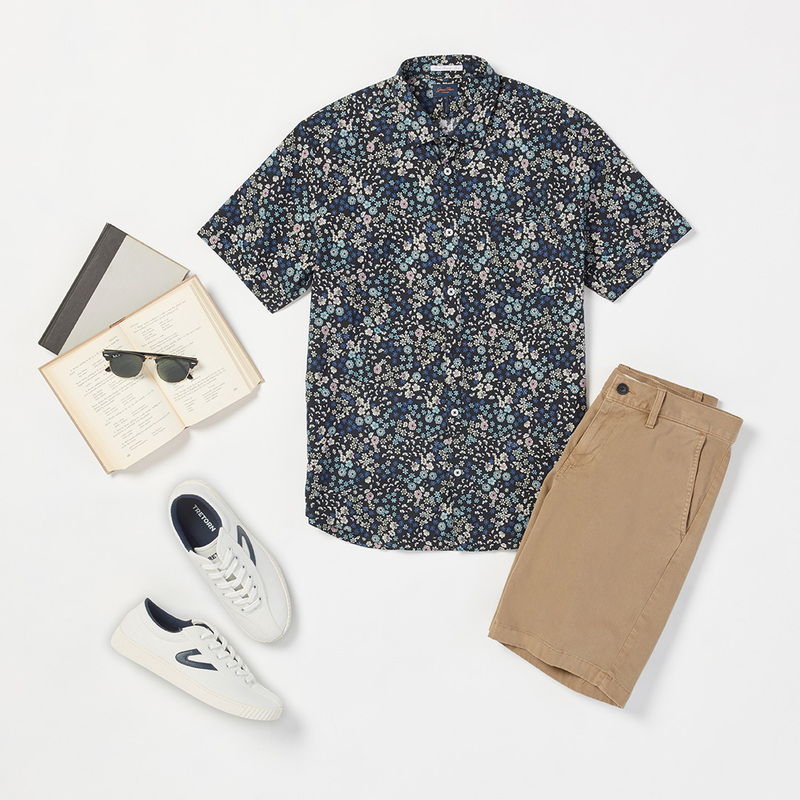 We have sneakers paired with this outfit, but not just any old sneakers will cut it. Make sure they’re fresh-looking and clean—especially if they’re white, and definitely if this is what you’re wearing to a ceremony. Graduation ceremonies tend to be a bit more dressy than their after-parties, so start with the bones of a casual Friday work outfit, then swap in more fun pieces. 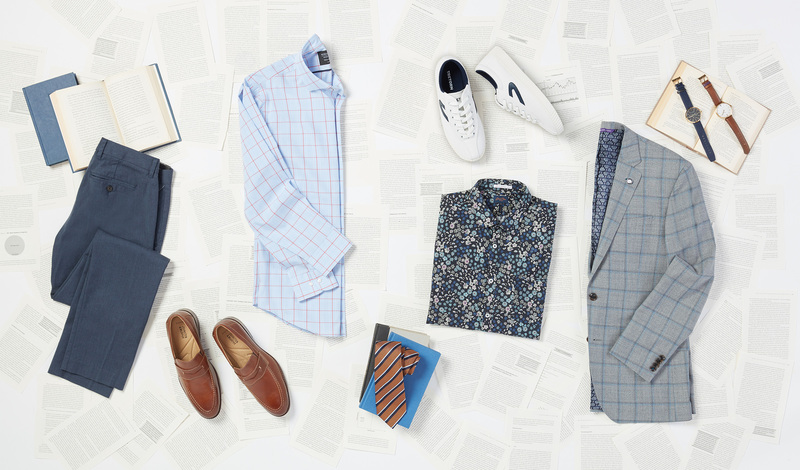 Where you might wear a white button-down, try a pattern. When you’d reach for a navy sport coat, wear something with a bit of personality. If you need some tips on matching shirts and ties, we have a quick guide for you to glance over. And as always, you can’t go wrong with a brown belt and shoes. But it’s nearly summer, so lighten up with tan or cognac versus a more traditional brown. Always check to see if there’s a dress code, since the last thing you want is to show up underdressed. For more formal events a suit is expected. 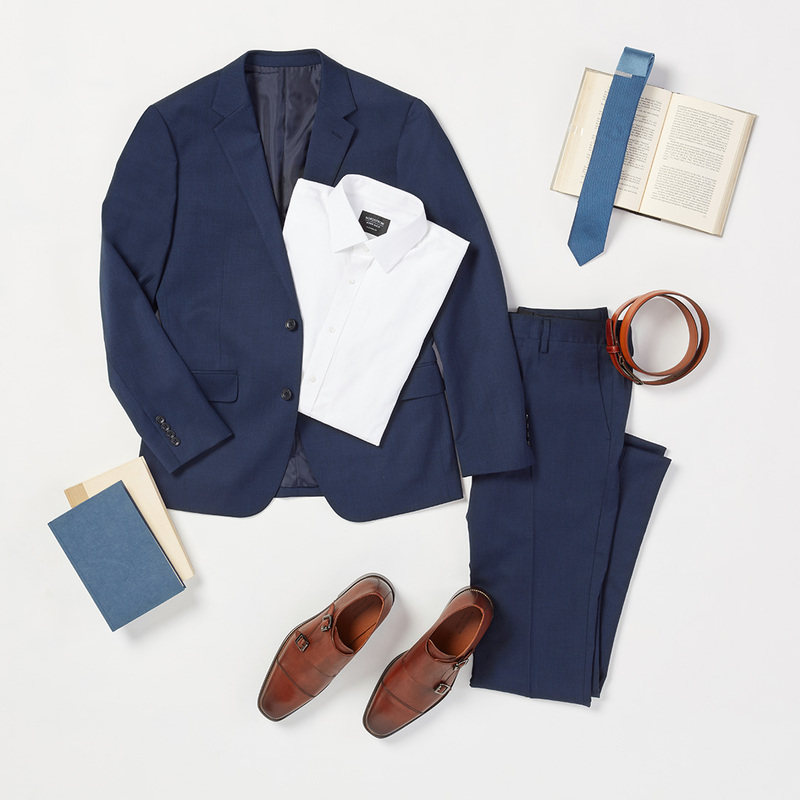 Navy and grey are our recommendations—keep the black suits in your closet (save those for weddings or nighttime events). Underneath, a crisp white button-down is always classic. No need to be straight-laced with your accessories, though. Maybe grab a tie or pocket square in your graduate’s school colors for a personal touch.